It’s the final stretch already! I can’t believe how quickly this week has gone! I have a week off for the first time in a long time which started yesterday, so I am hoping that the blogging and reading bug will stay with me and I will get into the habit of doing both again, even while there is no read-a-thon! 13:09: I woke up much earlier than this, bu Jade and I lounged at hers watching more Youtube videos and catching up with her sister Lauren. It has been a really nice weekend, and one I definitely needed! 16:50: Well it’s a shame we didn’t end the premier league season with a bigger fight, but there is always the Europa League final this week. Watching the football in the pub with friends feels like a good way to send off the football season and wait for the Euros. Next time I step into Anfield, the new stand should be done. Exciting (bookless) times! 19:21: Once the police drama disappeared and the questionable car was towed, my productivity severely reduced. 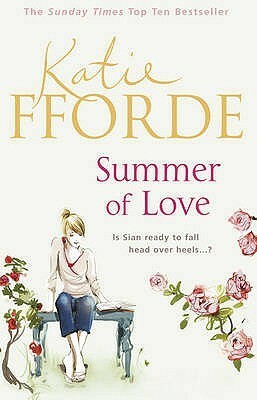 I’m three-quarters of the way through Summer of Love, which is proving to be a little better than I had anticipated! Hopefully I will finish it before I go to bed. 22:42: I’ve been marathoning Once Upon a Time after discussing it with Jade so I am up to date for the two-part series finale that airs tonight in the US. I’ve done a bit more house wise though today, I’ve potted some plants, sorted some last bits in the kitchen, and framed some pictures. I’m determined to make huge strides in completing the house this week, making full use of my time off! 00:10: Yes, it’s technically Monday, which means it’s technically not still Bout of Books, but it’s still Sunday somewhere so that counts right, that is how time zones work? I’ve almost finished Summer of Love, but I can hardly keep my lids open, so won’t be able to quite finish the second book of the readathon. 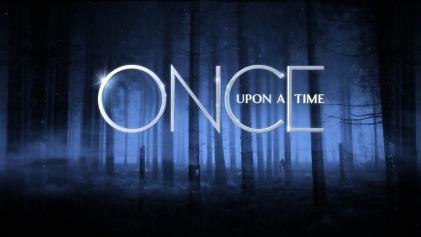 I don’t think I’ll quite be up to date with Once Upon a Time, but one episode off isn’t too bad! Technically today is a challenge free day, but I actually missed the challenge yesterday, so have adopted it as something to do today instead. #ShareyourfavouriteBoutofBooksmemory. Pretty much what it says on the tin really. For me, my favourite Bout of Books memory is all the way back in the summer of 2014 and Bout of Books 11. It was my first one, the lovely Emma put me onto it after convincing me to blog in the first place. I wasn’t really sure what I was writing about on my blog at the time, I wasn’t really sure of the world I was in, and I didn’t interact with anyone else. It opened my eyes to what blogging could be about, gave me something to write about that I enjoyed, and ignited the spark that led me to blog my trip around the world, including a very international Bout of Books readathons in the following months. Today has been a good day. I may have only read a little bit, but I’ve made headway with the house, seen friends, and made the most of the day, both inside the house, and out. Can’t say fairer than that!